In a new study, Tel Aviv University researchers reveal how they invented the first fully personalized tissue implant, engineered from a patient's own materials and cells. The new technology makes it possible to engineer any kind of tissue implant from one small fatty tissue biopsy. "We were able to create a personalized hydrogel from the materials of the biopsy, to differentiate fatty tissue cells into different cell types and to engineer cardiac, spinal cord, cortical and other tissue implants to treat different diseases," says Prof. Tal Dvir of TAU's Department of Biotechnology, Department of Materials Science and Engineering, Center for Nanoscience and Nanotechnology and the Sagol Center for Regenerative Biotechnology, who led the research for the study. "Since both the cells and the material used derive from the patient, the implant does not provoke an immune response, ensuring proper regeneration of the defected organ," Prof. Dvir says. The research was conducted by Prof. Dvir's postdoctoral researcher Reuven Edri and doctoral students Nadav Noor and Idan Gal, in collaboration with Prof. Dan Peer and Prof. Irit Gat Viks of TAU's Department of Cell Research and Immunology and Prof. Lior Heller of Assaf HaRofeh Medical Center in Israel. It was recently published in Advanced Materials. Currently, in tissue engineering for regenerative medicine, cells are isolated from the patient and cultured in biomaterials to assemble into a functional tissue. These biomaterials are always either synthetic or natural, derived from plants or animals. After transplantation, they may induce an immune response that leads to rejection of the implanted tissue. Patients receiving engineered tissues or any other implants are treated with immuno-suppressors, which themselves endanger the health of the patient. "With our technology, we can engineer any tissue type, and after transplantation we can efficiently regenerate any diseased or injured organ—a heart after a heart attack, a brain after trauma or with Parkinson's disease, a spinal cord after injury," says Prof. Dvir. "In addition, we can engineer adipogenic (fatty tissue) implants for reconstructive surgeries or cosmetics. These implants will not be rejected by the body." The researchers extracted a small biopsy of fatty tissue from patients, then separated its cellular and a-cellular materials. 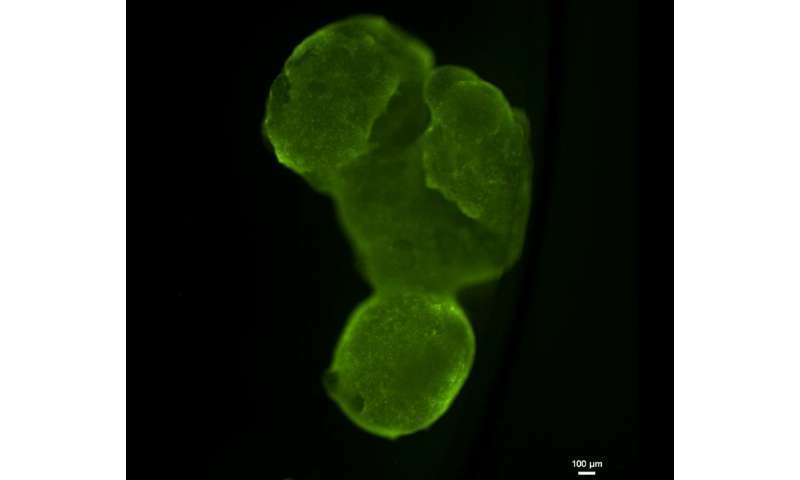 While the cells were reprogrammed to become induced pluripotent stem cells—able to make cells from all three basic body layers, so they can potentially produce any cell or tissue the body needs to repair itself—the extracellular material was processed to become a personalized hydrogel. After combining the resulting stem cells and the hydrogel, the scientists successfully engineered the personalized tissue samples and tested the patients' immune responses to them. The researchers are currently engaged in regenerating an injured spinal cord and an infarcted heart with spinal cord and cardiac implants. They have also begun to investigate the potential of human dopaminergic implants to treat Parkinson's disease in animal models. The researchers plan to regenerate other organs, including intestines and eyes, using the patients' own materials and cells. "We believe that the technology of engineering fully personalized tissue implants of any type will allow us to regenerate any organ with a minimal risk of immune response," Prof. Dvir concludes.